The economy line of 4-door sedans was saturated in the mid 1990s, but Ford had other plans for its sedan models. The Mercury Mystique was designed to give every driver great fuel economy for a cheaper vehicle cost. This marketing plan succeeded and millions of Mystique vehicle owners still drive these cars today. That’s why we have Ford 2.0L Mercury Mystique engines for sale in our huge warehouse. We know the demand for this replacement engine is high for warranty service and swap outs. We have some of the best remanufactured Ford car engines that you can find online for a dirt cheap price. The excellent Zetec 2.0-liter engine is what was placed into the Mystique to give it well over 125 horsepower. The speed and fuel economy helped to push this automobile into many homes, businesses and car rental agencies. Many of the engines that we acquire through our contacts are genuine Ford swaps or overstock. This boosts our quality level and we don’t have to try and remanufacture an 18-year old engine and call it new. Our engines have very low miles for a Ford 2.0L and you won’t have to worry about buying something that is no better than what you have now. Our remanufactured Ford engines for sale are in great working condition. We will not sell something to our customers that we have not tested. We also do not sell things that we would not be confident putting into our personal vehicles. Our staff of Ford engine mechanics are in charge of every engine that comes through our doors and that leaves our warehouse. This means that visual inspections play a big role into what we sell to our customers. Each engine receives an overview of quality before any remanufacturing work is completed. We analyze the results of inspections and this gives us all the data we need to begin the 2.0L rebuilding process. The completion of the rebuild is an exciting time, but our work is not finished until our dynamometer tells us differently. We run inspection and performance reports on each completed Mystique engine. We know instantly if our work is a success. The oil, compression, ignition and electrical wiring are all things that we double check. You are buying a totally remanufactured Mercury Mystique engine and we give you a lot of value for your investment. We don’t stop at selling you a great engine. We ship our engines ultra fast to totally eliminate the types of delays that are very common when buying engines through online dealers. Our low price, quality and shipping speed have helped cement our engine selling reputation. Call 1-877-630-3873 and we get you our low price quickly. You will wonder how we can sell our remanufactured 2.0L engines so cheap. 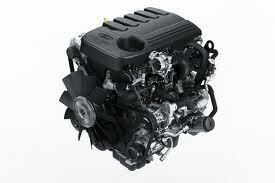 There are many places to buy engines online, but there are few experts that run legitimate companies. We are one of the few that help you and care about what we sell to you. If you want to use our Ford quote form, enter your Mercury Mystique engine details and we send out fast quotes.